While driving in Brevard County, you have been arrested for your first DUI. The arresting officer has taken your driver’s license and suspended your privilege to drive. You have never been arrested for DUI before. What should you do NOW? When you are arrested for a DUI, there are two very separate State agencies fighting to take away your driving privileges. Florida’s Department of Highway Safety and Motor Vehicles (D.H.S.M.V.) has the power to suspend your driver’s license without a Court Order, merely because you have been arrested for DUI. Another State agency, the State Attorney’s Office, will prosecute you for the criminal DUI charge, and, if you are convicted, will ask a Judge to suspend your license again, and to impose fines and several other penalties, possibly including jail time. DUI is one of the few misdemeanors where the Legislature has imposed a statutory minimum sentence (see § 316.193, Florida Statutes, for more information). What do you do NOW? Time is of the essence. Don’t waste time, call today. Contact our experienced criminal defense attorneys, Patrick Barbary and Darrel Sedgwick, for your FREE telephone consultation: 321-951-3400. Don’t face DUI charges alone. Review our DUI Tips and our answers to other Frequently Asked Questions. When you are released from jail, and if your license was valid at the time of your arrest, you may continue to drive for 10 days from the date of your DUI arrest. Carry your DUI ticket with you: it’s your driver’s license for 10 days. YOU HAVE TEN DAYS TO: If you want to fight your administrative suspension, and if you want to be able to continue driving for more than 10 days, you must request from the D.H.S.M.V., a formal review hearing within 10 days of your arrest. The purpose of a formal review hearing is to convince a D.H.S.M.V. Officer that your DUI suspension is invalid, and to convince said officer to reinstate your driving privileges. If you’ve hired an attorney within 10 days of your arrest, your attorney should request and attend that hearing for you. Make sure you discuss the formal review hearing the first time you talk to your attorney: if you don’t, he may not request it in time, and/or may charge you extra to handle it. Morgan and Barbary will not charge you extra to apply for and handle your formal D.H.S.M.V. hearing. However, there are nominal costs involved for this hearing (approximately $100.00 including $25.00 to the DHSMV, the fee for the process server to subpoena the officer and the copies of the evidence provided by the D.H.S.M.V. ).Once you or your attorney has applied for the formal review hearing, the D.H.S.M.V. will issue a temporary permit, which lets you drive for business purposes for approximately 30 days, and at least until the date of your formal review hearing. If the officer continues the hearing, the D.H.S.M.V. will extend your temporary permit until the new hearing date. The ways to successfully challenge your suspension at the D.H.S.M.V. hearing are limited. They are getting more limited every day. Because of the limited ways to challenge your suspension, D.H.S.M.V. statistics show that lately, very few suspensions are overturned at formal hearings. At Morgan and Barbary, our DUI attorneys have attended hundreds of these D.H.S.M.V. hearings. As a practical matter even if you don’t think you will win at the hearing, a formal review hearing should always be requested; at a minimum, requesting the hearing will get you a temporary permit which can significantly extend the amount of time you can drive and plan alternative solutions, before your full suspension takes effect. If you convince the State Hearing Officer that your license was wrongly suspended, he or she will rescind the suspension. You may then go to the Driver’s License Bureau and, for a nominal fee, get a new license, with the same driving privileges you had before your arrest. If not, your suspension will be affirmed. When your temporary permit expires, you will no longer be able to drive lawfully. If you were arrested for DUI and gave two breath samples above .08, the D.H.S.M.V. suspension is for 6 months, beginning the day of your arrest. If you were arrested and you refused to provide a breath and/or urine sample, the suspension is for 12 months, beginning the day of your arrest. HOWEVER, even if your suspension is confirmed at the D.H.S.M.V. hearing, you may apply for a hardship license, which will allow you to drive for limited purposes. You must wait 30 days from the time of the expiration of your temporary permit if you submitted to the breath test and both results were above .08, or 90 days if you refused to give a sample, before you become eligible to apply for a hardship license. You are not entitled to a hardship license — you must request another hearing, and convince the D.H.S.M.V. Hearing Officer that you deserve one. If you submitted to the breath test, both results were not above 0.08, and you did not refuse a urine test, the law enforcement officer who arrested you should have returned your driver’s license to you. Keep in mind that if you are caught driving while you are ineligible for a hardship license, you will be charged with a new traffic criminal offense of driving with a license suspended or revoked. Even though the statutory language doesn’t specifically provide for it, you will likely be ineligible to acquire a hardship license.The outcome of your D.H.S.M.V. case will not affect your criminal case: you may win your D.H.S.M.V. hearing and still be convicted of the criminal DUI charge; also, you may win your DUI criminal case, and still have your license suspended by the D.H.S.M.V. One exception: if you submitted to the breath test and you win your criminal case at trial, then your D.H.S.M.V. suspension will be rescinded. The State Attorney’s Office is the State Agency in Florida, which prosecutes you for the criminal DUI charge. After you have been arrested, your case can be resolved by motion, through a jury or bench trial, or through a negotiated plea agreement. If the police officer that arrested you made mistakes, evidence may be suppressed and your charges could be dismissed. Your ability to win your DUI trial, have your DUI charges thrown out, or negotiate your DUI charge down to a lesser traffic charge depends on the strength of the State Attorney’s case against you, the experience of the prosecutor who handles your case, and the experience of your attorney. In almost 20 years of practice, Darrell Sedgwick, who worked as a Public Defender for 4 years in Brevard County, has handled thousands of these cases as an aggressive defense attorney. 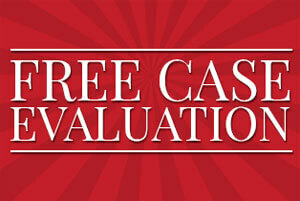 Call Darrell today for your FREE telephone consultation: 321-951-3400. The strength of the State Attorney’s case depends solely on the amount and the quality of the evidence that law enforcement officers have lawfully gathered to prosecute the DUI charge against you. Were you legally stopped? A police officer CANNOT order you to stop your car unless he or she has a valid legal reason. Generally, the officer must have a reasonable suspicion that you are committing a crime or that you are violating some traffic law. Some law enforcement officers regularly violate this important constitutional safety net. If the officer did not have a valid reason to stop you, an experienced DUI attorney will file the necessary motions, schedule a court hearing, and make the State Attorney’s office try to prove that the stop was legal. If the State cannot prove that you were legally stopped, all of the evidence gathered after the stop will be inadmissible, and the State will not be able to prove its case. Did the officer follow the rules AFTER he stopped you? Florida DUI laws require officers to follow a very specific procedure when they investigate DUI cases. Some officers don’t know or don’t always follow this procedure. For example, if an officer arrests you for DUI, he will ask you to submit to a breath test. If you refuse, he MUST read you the Florida’s Implied Consent Warning. If he doesn’t read you that warning, your refusal to submit to the breath test cannot be used against you in court. What will your attorney do with your case? Once your attorney has obtained your discovery he requested from the State, he will review it, evaluate it, and meet with you to discuss the accuracy of the facts and the statements made by law enforcement. Based upon the strength or weaknesses of the evidence and the potential “legal problems” of your case, your attorney will present you with the different options to resolve your case, and their associated risks and exposure. A good defense attorney with many years of experience will be able to quickly isolate the problems weakening the State’s case. This will place him at an advantage when he discusses your case with the assigned prosecutor. Your attorney can only advise you as to what, based upon his experience, he believes you should be doing. The final decision, however, will be yours. 6 months suspension of your driver’s license – however, you should be able to continue using the restricted license you have obtained from the D.H.S.M.V. Criminal attorneys will tell you that if you can try a DUI case, you can try a murder. Even though a DUI is a second-degree misdemeanor, it is a complicated case involving a lot of technicalities and procedures, which must be followed. A good attorney will be able to quickly identify the weaknesses of the State case. Armed with these issues, your attorney will be better able to negotiate the best resolution for your case. At Morgan & Barbary, we have tried hundreds of DUIs. Put our experience to work for you: call Patrick Barbary and Darrel Sedgwick today for your FREE telephone consultation: 321-951-3400.